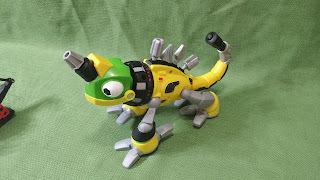 Growing Little Ones : Dinotrux Toys! Ty the T-Trux and Revvit the Reptool from DreamWorks and Netflix! Loving life and sharing the love of Jesus with anyone I can! Follow G.L.O for Jesus on YouTube! 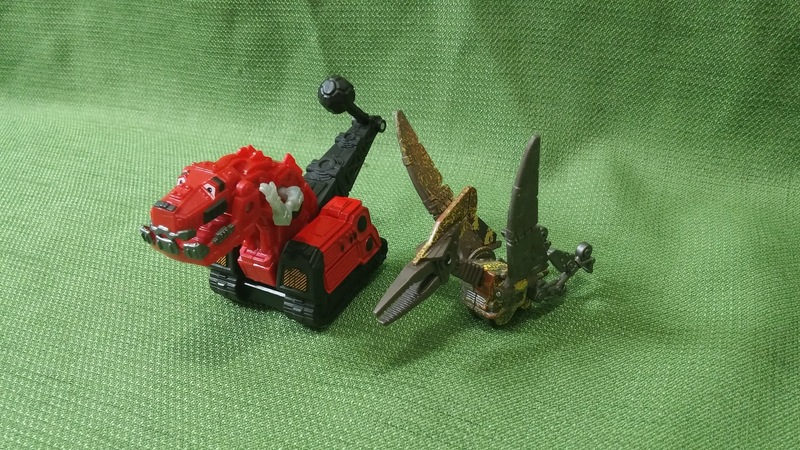 Dinotrux Toys! Ty the T-Trux and Revvit the Reptool from DreamWorks and Netflix! 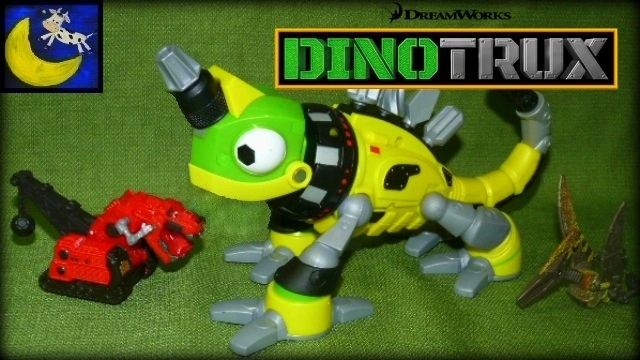 DINOTRUX Toys!!! My 3 year old and I loved watching the DreamWorks animated series, Dinotrux, on Netflix! Even as an adult I found each episodes' story line entertaining with whit, humor and helpful things for kids including: How to deal with bullies, how to work together with others and much more. All that and it doesn't even scratch the surface of the uniqueness and awesomeness of the fact that these animals are either half dinosaur and half construction truck, which gives you the Dinotrux, or they are half tool and half reptile, which gives you the tinier Reptools! I haven't even gotten in to the fact that the toys they are selling for this animated show are SO AWESOME! I was given the opportunity by Dreamworks to do a video of a few toys before they hit the shelves at Toys R Us next week! But if you think my review is biased because they gave me the toys let me add that that my 3 year old was so enthralled with the show and toys that after finishing we went online and ordered 130 dollars of more Dinotrux toys! We fully and truly love them! Back to the toys, so the Revvit toy is the main Reptool in the show and his toy's body is a drill! When you pull his tail the drill on his head spins and makes either whirring noises or a phrase from the show. You can remove one of the four drill bits, a phillips head, flat head, allen or drill bit from his back and place it in the drill on his forehead for the real feel of using a drill! On top of all that you can pull his tongue out and you get a 6 inch tape measure with noises and phrases! It isn't as often as one would like when something is so much better then you thought it would be. I'm really excited to say that this show and these toys greatly exceeded my expectations! Thanks for reading and be sure to watch the video review of these toys! Once the new Dinotrux toys come in I will be doing a video of them too!!!!!!!! We bought Dinotrux Mega Chompin' Ty Rux, Dinotrux Garby, Dinotrux LP Hero Ton-Ton and Dinotrux LP Hero D-Structs. I can't wait to share them with you! I would love to hear from you! Let us know your thoughts and questions or give loving advice for another mommy! Let me tell you about Jesus!! Romans 3:23 "For all have sinned, and come short of the glory of God." We all have sin in our hearts. We all were born with sin. We were born under the power of sin's control. - Admit that you are a sinner. Romans 6:23a "For the wages of sin is death..."
Sin has an ending. It results in death. We all face physical death, which is a result of sin. But a worse death is spiritual death that alienates us from God, and will last for all eternity. The Bible teaches that there is a place called the Lake of Fire where lost people will be in torment forever. It is the place where people who are spiritually dead will remain. - Understand that you deserve death for your sin. Salvation is a free gift from God to you! You can't earn this gift, but you must reach out and receive it. - Ask God to forgive you and save you. Romans 5:8, "But God commendeth his love toward us, in that, while we were yet sinners, Christ died for us." When Jesus died on the cross He paid sin's penalty. He paid the price for all sin, and when He took all the sins of the world on Himself on the cross, He saved us from sin and death! The only condition is that we believe in Him and what He has done for us, understanding that we are now joined with Him, and that He is our life. He did all this because He loved us and gave Himself for us! - Give your life to God... His love poured out in Jesus on the cross is your only hope to have forgiveness and change. His love is what saves you -- not religion, or church membership. God loves you! Romans 10:13 "For whosoever shall call upon the name of the Lord shall be saved." - Call out to God in the name of Jesus! Romans 10:9,10 "That if thou shalt confess with thy mouth the Lord Jesus, and shalt believe in thine heart that God hath raised him from the dead, thou shalt be saved. For with the heart man believeth unto righteousness; and with the mouth confession is made unto salvation." - If you know that God is knocking on your heart's door, ask Him to come into your heart. Revelation 3:20a "Behold, I stand at the door, and knock: if any man hear my voice, and open the door, I will come in to him and will sup with him, and he with me." -Is Jesus knocking on your heart's door? Ask Him to come in to your heart by faith, and ask Him to reveal Himself to you. Open the Bible to the Gospel of John and read what God says about Jesus, about you, and about being born again. God will help you. He loves you. You need to look for a local church where God's word is preached. Aren't you hungry to know the truth? NEW Paw Patrol Apollo's Pup Mobile Toys! Bbuddieez Collectible Wearable Series 1 Characters! Blind Packs, Storage Cafe Case and Bracelets! 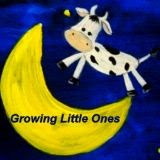 Growing Up Crazy with Growing Little Ones! Episode 5 Paw Patrol Slime Dinotrux and Yo Gabba Gabba Toys! How To Toddler Proof Wooden Thomas the Train Tracks on Table with NO Glue or Nails! LIFE SAVER!!! 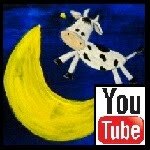 Follow by Email - Know when new posts are published! Joanna E. (Growing Little Ones). Watermark theme. Powered by Blogger.